Dr. Stan Shulman and his staff welcome you to our website! Dr. Shulman, a native Washingtonian, served as a dental officer in the U.S. Public Health Service treating Native Americans in Alaska. As the first recipient of the American Dental Association’s national “Community Preventive Dentistry Award,” he received national recognition for his pioneering work with dental disease among young children. He is a graduate of the Georgetown University School of Dentistry and served on the faculty. For over 20 years he has been a member of the Board of Directors for the D.C. Dental Society Foundation, established to promote dental health locally. One of Dr. Shulman’s passion is helping underprivileged children get their badly needed dental care. 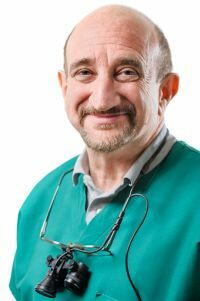 Dr. Shulman takes part in the yearly Give Kids A Smile Day in Washington, D.C. And once a year, he travels to Central Vietnam to do volunteer work on children in dental missions. The theatrical arts are among Dr. Shulman’s hobbies. He served on the Board of Directors of Imagination Stage, in Bethesda, Maryland, one of America’s leading theatres for children. He is married and has one son.